"Angry Birds," one of the most successful mobile games in history, is taking its bird-slinging game mechanics to a new platform: the traditional game console. Rovio, the company behind the popular iPhone and Android game franchise, says that it is working on a version of the game for the Xbox 360, Wii and PlayStation 3. CEO Peter Vesterbacka also told the BBC that the games would launch next year, although he wouldn't reveal much more beyond that. 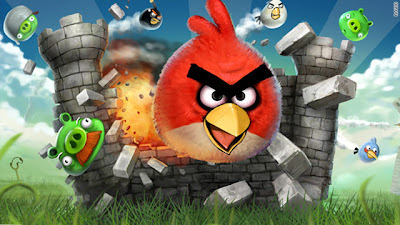 Vesterbacka also revealed a second piece of news: the company is actively working on "Angry Birds 2." The new game isn't a sequel to the original though, but is instead a completely new game featuring the angry birds and the evil pigs. As for the premise of the game, Vesterbacka told the BBC that, "the pigs will be a lot more active than just being slingshotted at by birds." He also added that there will be a lot more of the pigs in "Angry Birds 2."